This Is Our Regular BJJ Course, We Call It Path From White To Black Belt. Learning BJJ is a lifelong Journey, We Hope You Join us in it to live a Jiu Jitsu life style. BJJ is Gentle Art, try to practise it as slow as possible by feeling the energy and building sensitivity, awareness, reflexes and control. If you tends to use muscle your BJJ will be least effective and you will not be able to fight a stronger and bigger opponent. 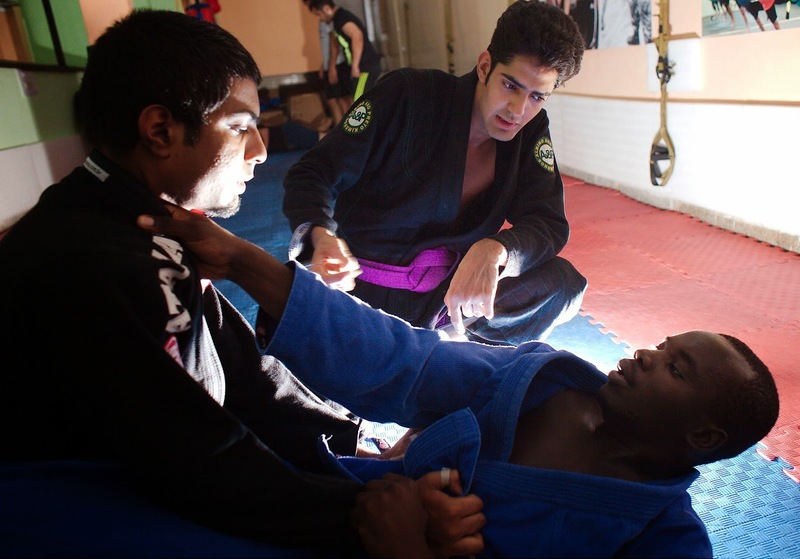 BJJ is not about Submissions (Joint Locks and Chokes) though they play an important role as they are used to finish the fight, but the main goal is positional dominance which gives you the ability to defeat any opponent of any size and weight and with any martial art experience. So try to focus more on Position Control. Positional Escapes, Transitions, Sweeps, Guard Passes and so on. Our BJJ Classes has these elements of training. End up the training session with slow rolling (slow sparring) and try to make a proper game plan which will lead you to victory, try to use all the variations of all the techniques you know with proper details. Be cooperative with your rolling partner, let him learn and flow with you, do not try to use muscle while rolling. Try to focus on your partner mistakes rather than using power and muscles to make your technique work or to escape/control a position. Do a proper cool down with focused breathing pattern at the end of the training session, take out 5 minutes to discuss about everything you practiced or learned today, try to raise questions and doubts which will be answered in next training session. Trust Me It Helps a Lot.